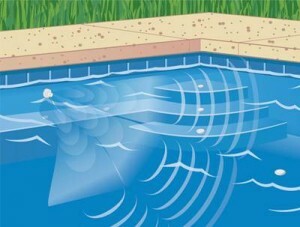 Paramount Pool & Spa Systems MDX Anti-entrapment debris drain, effectively eliminates debris that is delivered to the drain and offers several layers of anti-entrapment protection for your family. The MDX surpasses the industry safety standards, and combines quality and innovation to provide you with the best drain option for your pool. When combined with Paramount In-Floor Cleaning and Circulation systems the MDX Anti-entrapment debris drain is a highly efficient drain that allows dirt, leaves and other debris to be effectively removed from your pool. IAPMO tested to meet the ASME A112.19.8-2007 and A112.19.8-2009B anti-entrapment requirements. Rated for a maximum system flow rate of 132GPM. The MDX-R3 sump has a 2″ port to accommodate a hydrostatic valve. Enlarged suction element protects against hair and clothing entrapment. Specially designed opening to protect against hair and mechanical entrapment while efficiently accepting large debris. For concrete, vinyl, and fiberglass pools. Large capacity sump eliminates plugged drain service calls by allowing most debris to pass through. 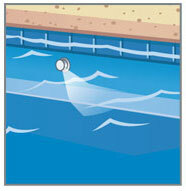 Outstanding for pools, as well as spas, overflow basins, and fountains, anywhere debris needs to be removed. The MDX-R3 VGB Compliant Debris Drain is designed to meet the industry standard ASME A112.19.8-2007 and ASME A112.19.8-2009B anti-entrapment requirements for concrete, vinyl and fiberglass pools, and is tested and listed by IAPMO, to earn the premier swimming pool, spa and hot tub code (USPC) shield. If the MDX-R3 becomes covered, the SDX activates to prevent excessive suction and truly becomes a safety backup. For additional safety, simply add MVFUSE as a third point of suction relief. Located between MDX-R3 and the pump, the patented MVFUSE provides another layer of swimmer protection. The MDX-R3 VGB Compliant Debris Drain combines quality, craftsmanship, and innovation to provide you with the best for your pool. MDX-R3 is more than just a drain; when combined with a Paramount in-floor cleaning and circulation system, the MDX-R3 VGB Compliant Debris Drain is a highly efficient drain that allows dirt, leaves and other debris to be effectively removed from your pool. The SDX is a high flow suction outlet that is suitable for use as a wall fitting, and as a floor drain when debris removal is not a concern. The SDX has a Patented “ribbed” design that achieves high flow with sixty “mini” drains, and is dome shaped to prevent swimmer entrapment. 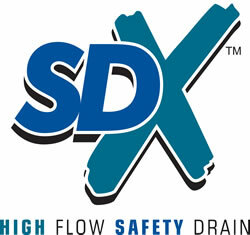 The SDX surpasses industry safety standards and when installed with the MDX, provides a secondary point of suction resulting in a second layer of protection for your pool. 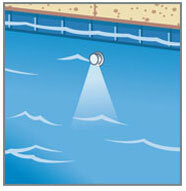 When dirt, sand, leaves, and debris fall into a swimming pool, they usually end up sinking to the bottom. 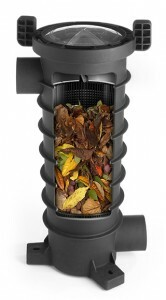 The Paramount Debris Containment Canister provides a convenient place to collect debris for easy removal, right from the deck of the pool. With a capacity 400% larger than your average pump basket, you can dispose of the contained debris easier and less often. The Paramount Canister is designed to be installed With Paramount In-Floor Cleaning Systems. 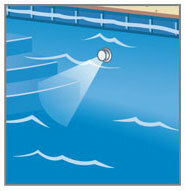 The Paramount Canister allows the pool’s skimmer to operate at maximum efficiency. Debris is blown toward the active main drain and quickly deposited in the Canister. A Paramount In-Floor Cleaning System installed with the Paramount Canister, ensures your pool will remain clean, allowing you and your family to spend your time enjoying your pool, not cleaning it. Pool Water Product’s In-Floor Pool Cleaning Systems, continues its commitment to pool cleaning and enhanced water circulation with another patented product – Swingjet. Designed to fit into most 1 ½” threaded wall returns, Swingjet delivers an infinitely adjustable 3-step 90 degree cleaning arc with an innovative automatic reversing mechanism. Pool-Water Products is proud to introduce to the Australian Swimming Pool market the newest in the Paramount range of products the SwingSweep system. Paramount Pool and Spa Systems, the world’s leader in In-Floor Pool Cleaning Systems, continues its commitment to pool cleaning and enhanced water circulation with SwingSweep. SwingSweep’s patented wall mounted jets, powered by our Swingjet technology, fit into most threaded wall returns and deliver an infinitely adjustable 3-step 90 degree water flow arc with an innovative automatic reversing mechanism. Improves overall circulation & heating. Adjustable 3-Step 90 Degree Cleaning Arc. Only wall return with ratcheting sweep technology.